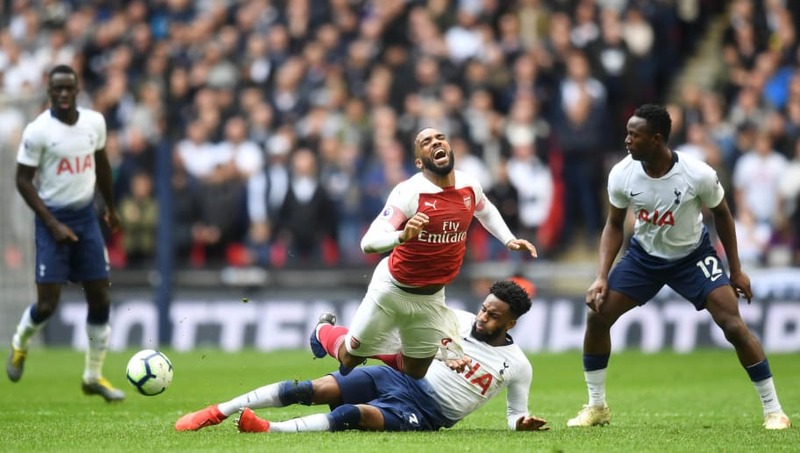 ​Tottenham Hotspur defender Danny Rose has labelled the half-time team talk from manager Mauricio Pochettino during the north London derby as 'one of the best things I have witnessed in football' and likened it to the players being 'sent to war' in the second half. Going into the clash against Arsenal off the back of two successive Premier League defeats, Spurs were trailing at the break after Aaron Ramsey's first half opener. A loss would have meant the Gunners closing the gap on their rivals in the battle for the top four, but Pochettino seemingly stepped in and showed his managerial skill. "That was one of the best things I have witnessed in football, his half-time team talk, and we kept going and that was the attitude he wanted to see in the second half," an impressed Rose is quoted as saying by Sky Sports in the aftermath. "The manager said some things at half-time and that was the turning point because he is usually really calm and collected," the left-back explained. "He normally talks to us at half-time and this time it was like he was really sending us to war." Harry Kane equalised from the penalty spot in the second half, while Hugo Lloris came up big late on with a penalty save from Pierre-Emerick Aubameyang to preserve a valuable point. Spurs stay third in the Premier League standings, three points ahead of Manchester United in fourth, four above Arsenal in fifth and five above Chelsea in sixth. Next up for Spurs is some respite from the Premier League as they face Borussia Dortmund in the second leg of their Champions League last 16 tie on Wednesday, aiming to preserve a 3-0 aggregate lead from the successful leg last month. After that, a trip to relegation threatened Southampton is on the cards next weekend.